Take advantage of the hotel's 24-hour room service. A complimentary continental breakfast is served daily from 7 AM to 10:30 AM. Enjoy recreation amenities such as a fitness center or take in the view from a terrace. This hotel also features complimentary wireless Internet access, wedding services, and tour/ticket assistance. 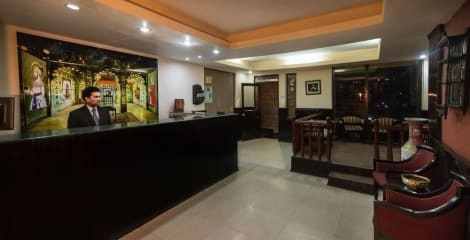 When you stay at The Pavilion in Nainital, you'll be connected to a shopping center, within a 15-minute walk of Nainital Lake and Goddess Naina Devi. This family-friendly hotel is 0.5 mi (0.8 km) from Snow View Point and 1.1 mi (1.7 km) from Naina Devi Temple. With a stay at Dynasty Resort in Nainital, you'll be 6.6 mi (10.7 km) from Nainital Lake and 6.8 mi (11 km) from Naina Devi Temple. This hotel is 6.8 mi (11 km) from Goddess Naina Devi and 7.3 mi (11.8 km) from Snow View Point. Stay in one of 49 guestrooms featuring flat-screen televisions. Cable television is provided for your entertainment. Private bathrooms with showers feature complimentary toiletries and hair dryers. Conveniences include complimentary newspapers and coffee/tea makers, and housekeeping is provided daily. With a stay at The Naini Retreat in Nainital, you'll be within a 15-minute drive of Nainital Lake and Goddess Naina Devi. 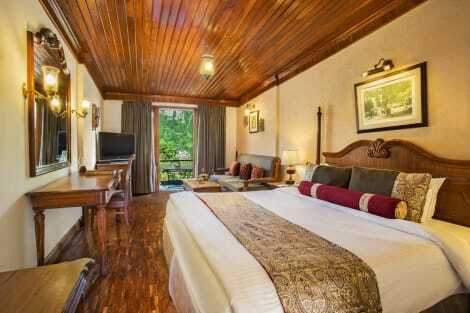 This 4-star hotel is 1.6 mi (2.5 km) from Naina Devi Temple and 2.1 mi (3.3 km) from Snow View Point. When you stay at The Manu Maharani in Nainital, you'll be in the mountains, just steps from Nainital Lake and Goddess Naina Devi. This 4-star hotel is 0.3 mi (0.5 km) from Naina Devi Temple and 1.4 mi (2.2 km) from Snow View Point. 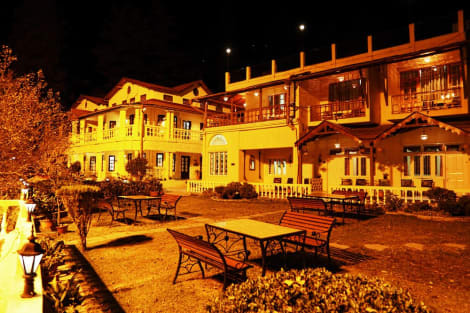 lastminute.com has a fantastic range of hotels in Nainital, with everything from cheap hotels to luxurious five star accommodation available. We like to live up to our last minute name so remember you can book any one of our excellent Nainital hotels up until midnight and stay the same night.